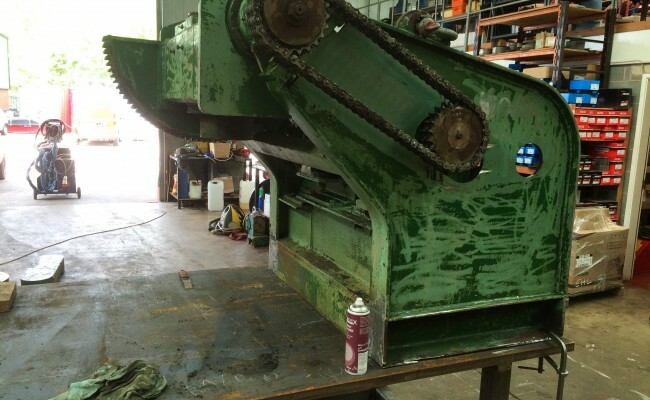 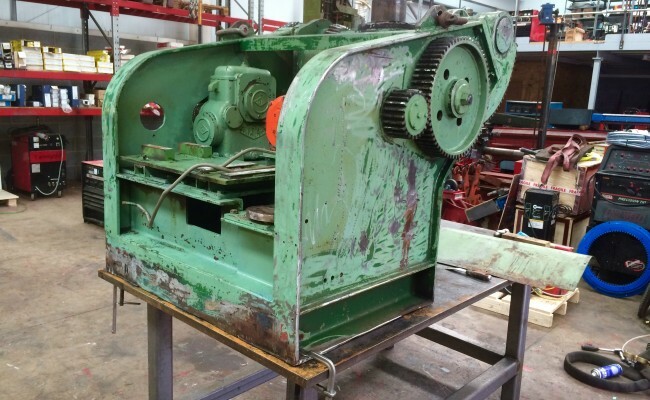 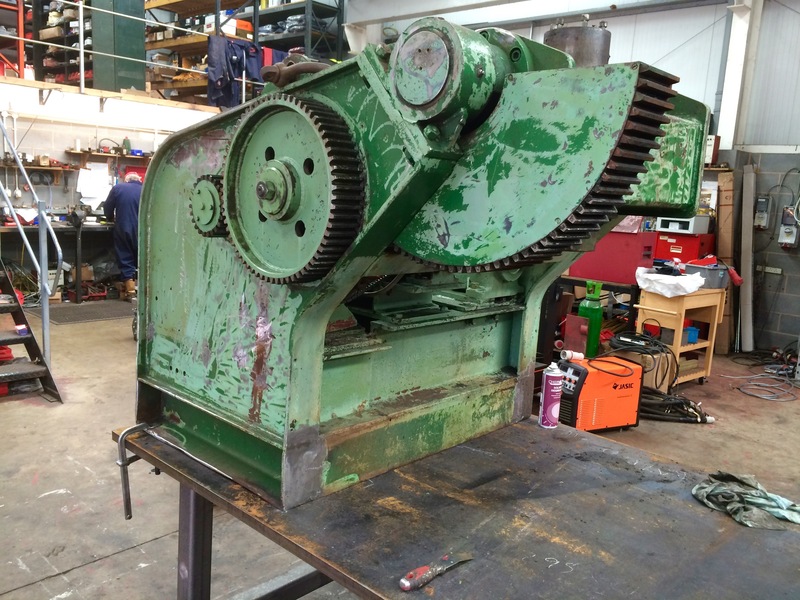 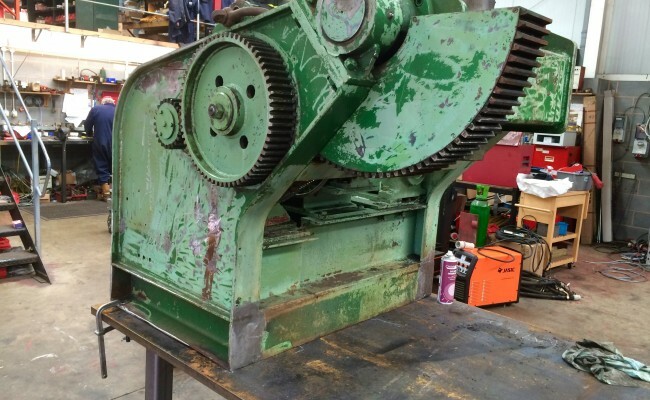 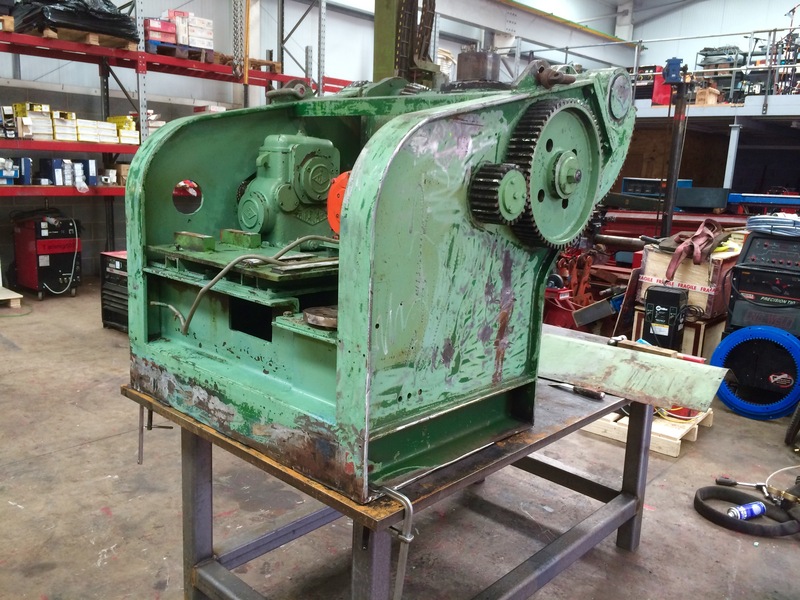 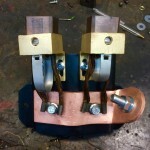 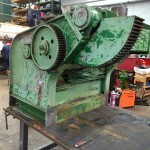 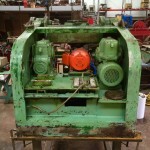 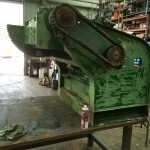 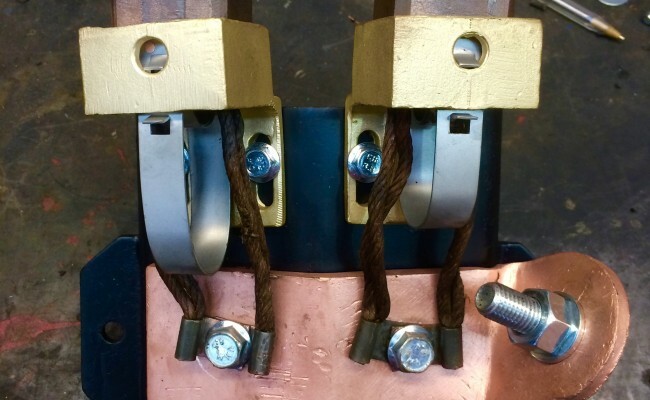 Here is a photo gallery of us fully reconditioning a BODE 3 tonne welding positioner for you to see our process of rebuilding the equipment. 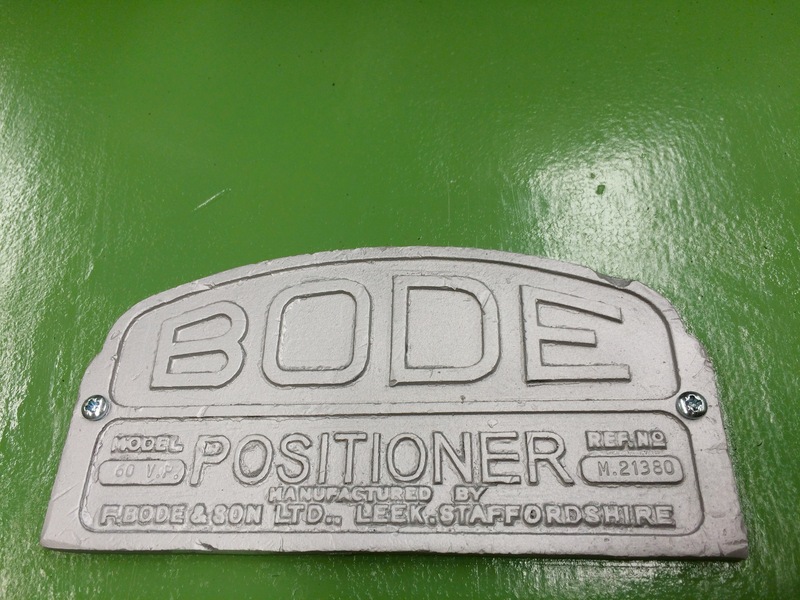 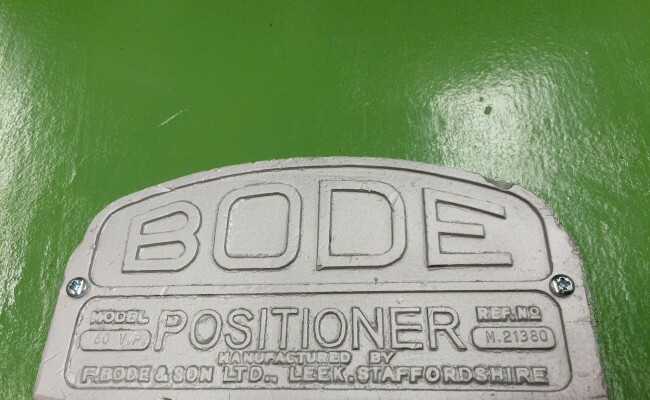 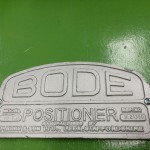 This model is one of BODE's heavy duty range as seen by looking at the loading quadrant and we love this 3 tonne design. 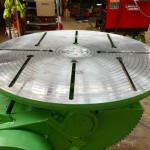 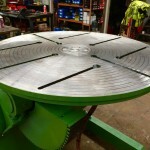 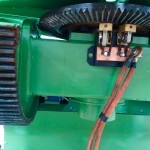 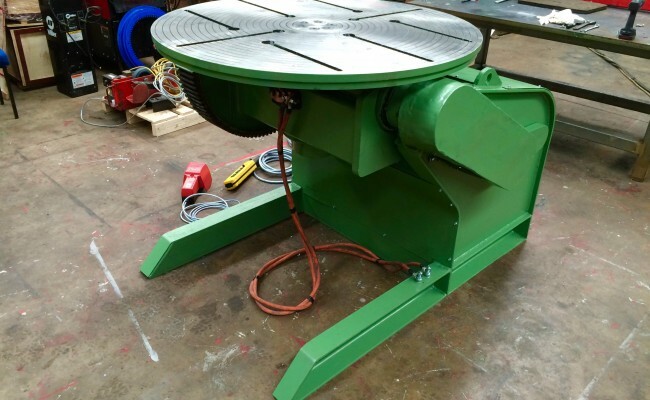 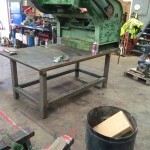 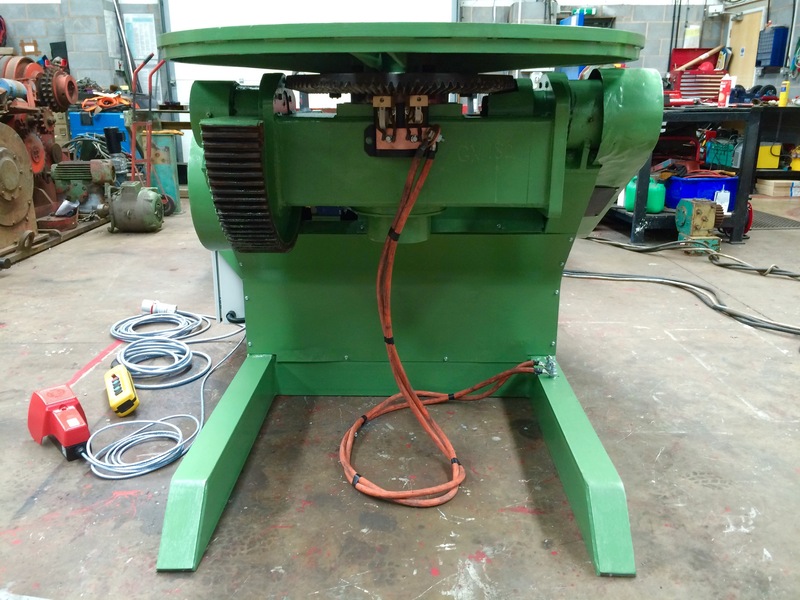 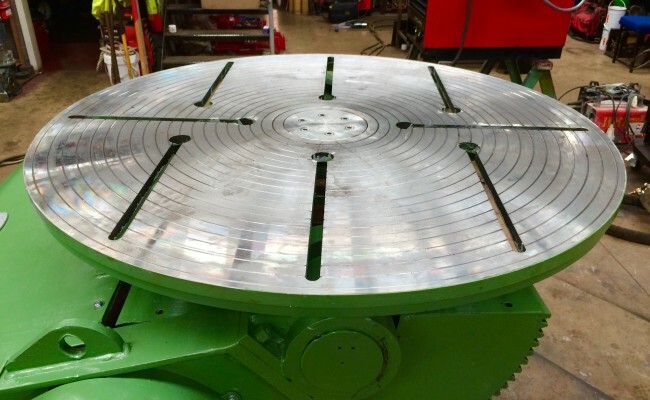 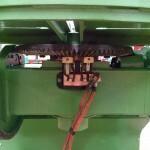 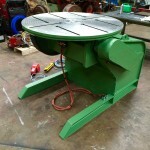 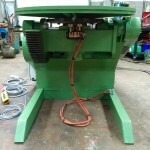 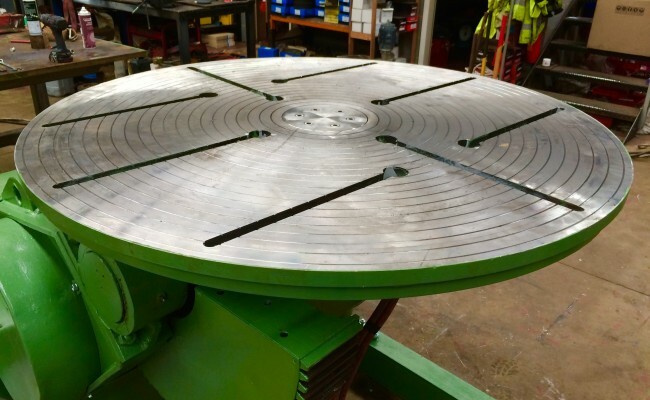 This particular machine has a loading capacity of 1500kg on a 90° tilted vertical table protruding 900mm from the table surface (depending upon the centre of gravity). 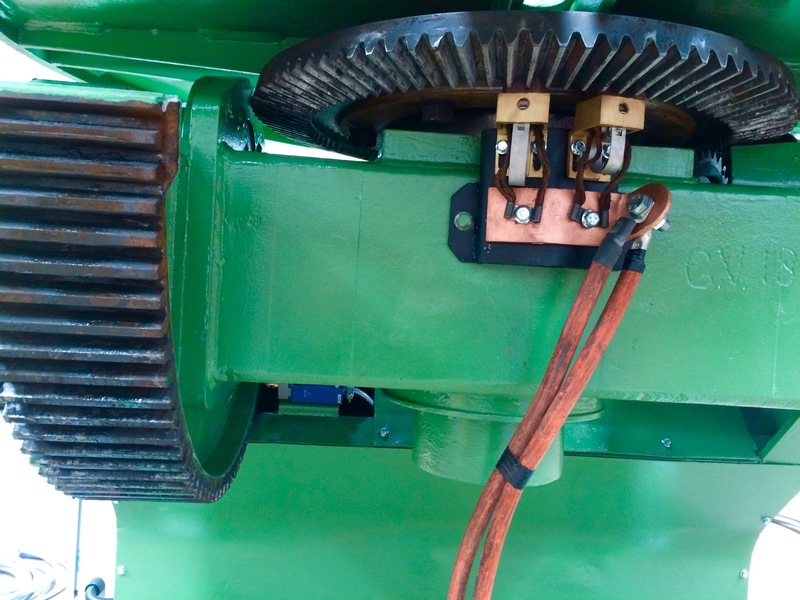 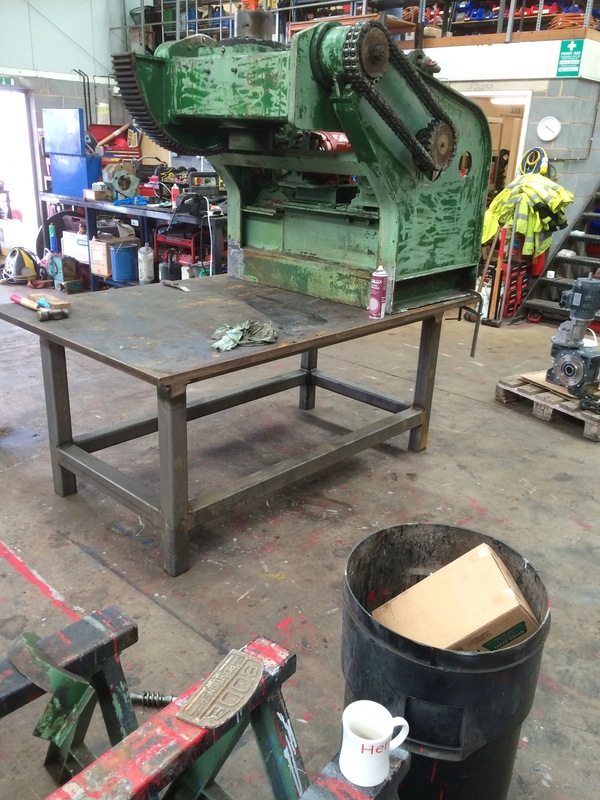 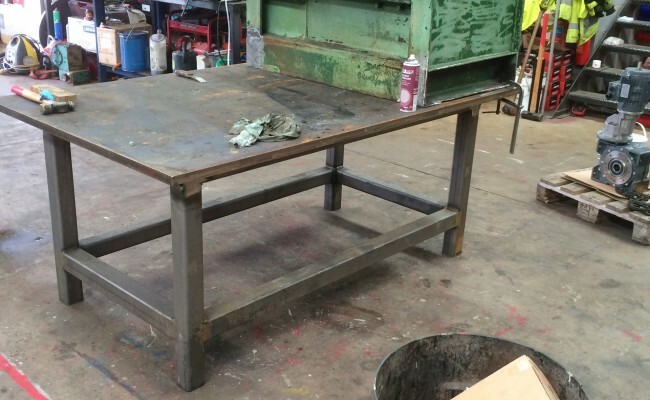 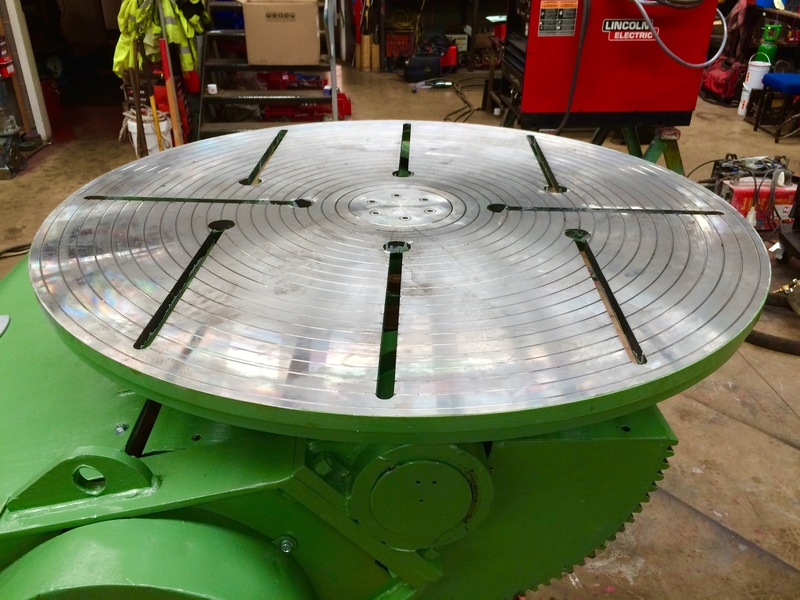 We have machined a brand new table, re-wired the entire positioner with brand new electronics, built a new control panel with pendant control as well as foot pedal operation. 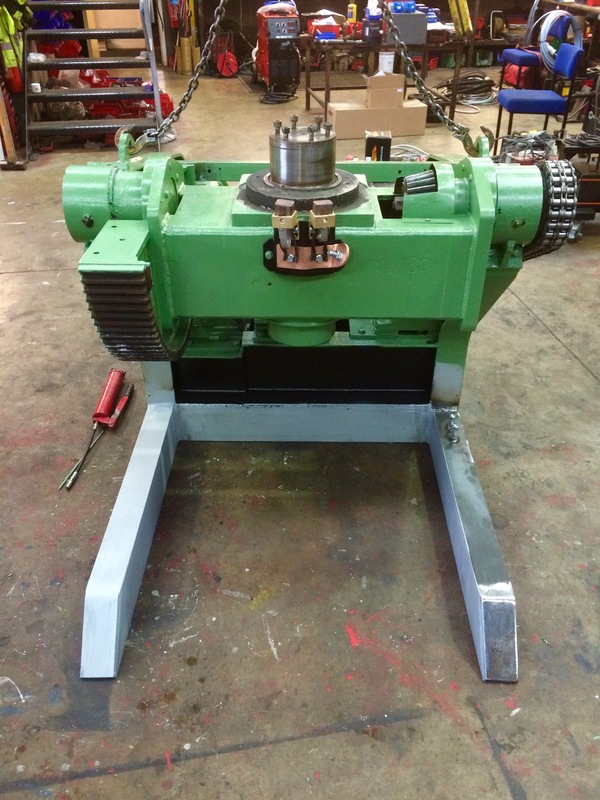 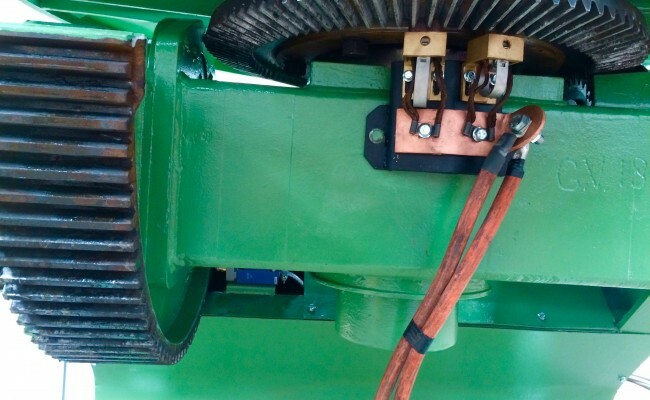 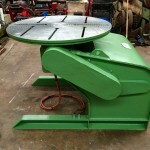 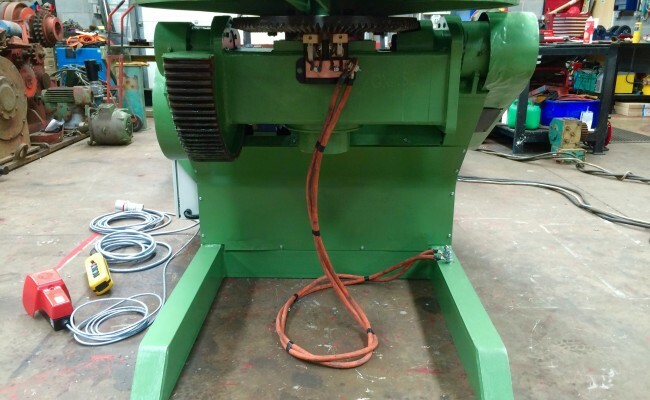 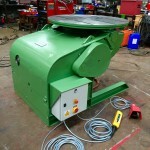 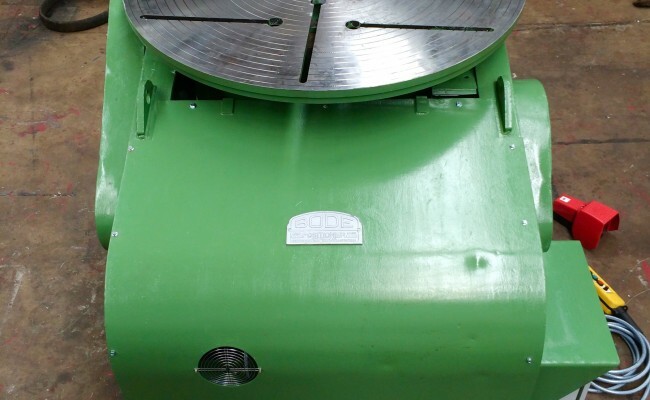 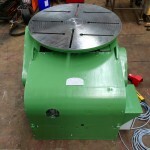 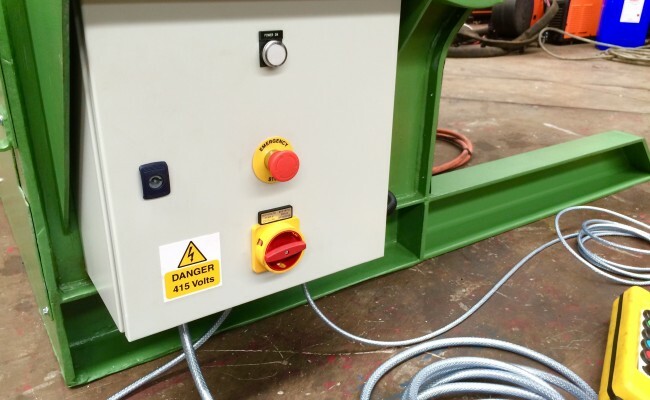 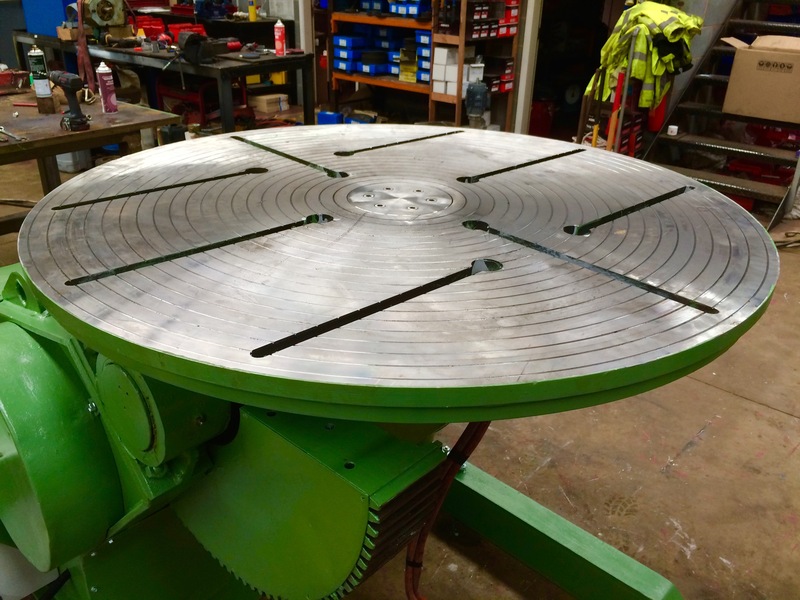 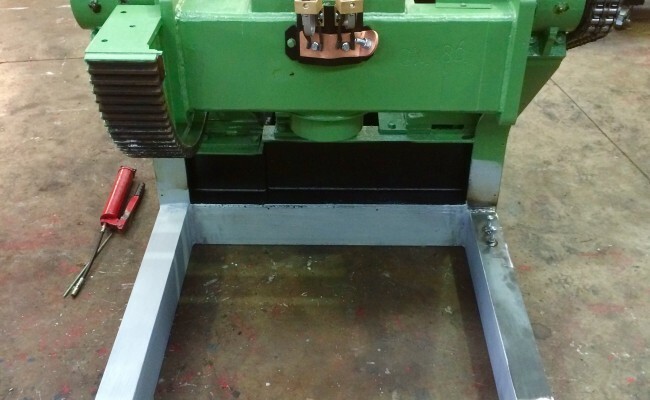 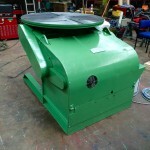 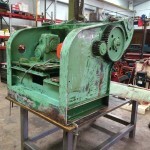 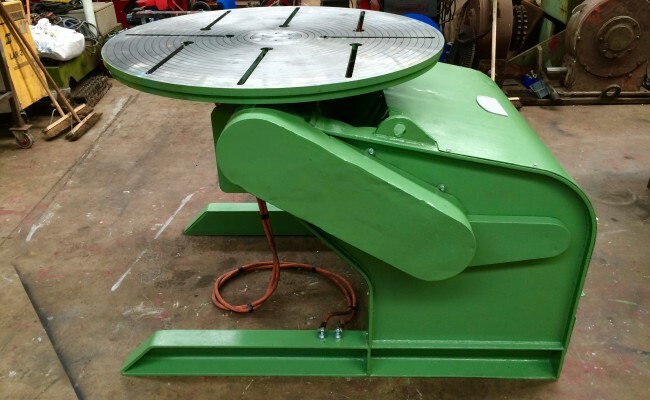 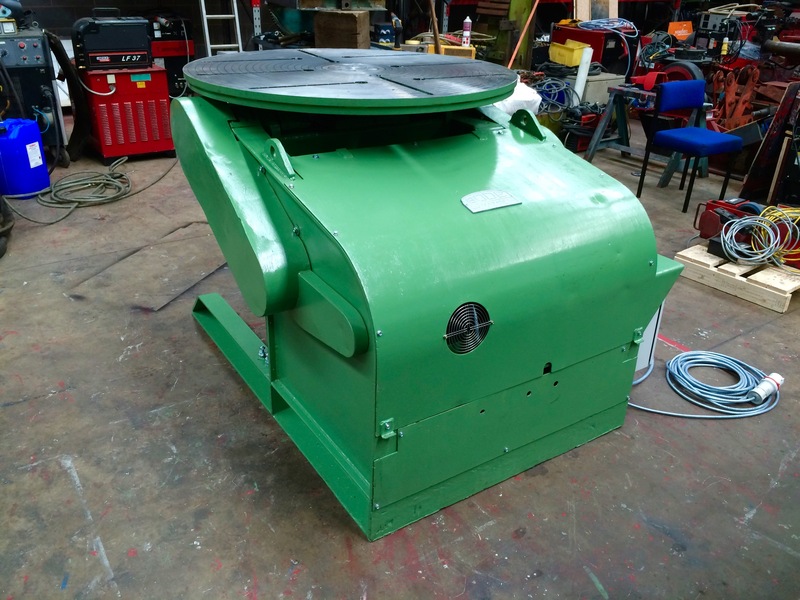 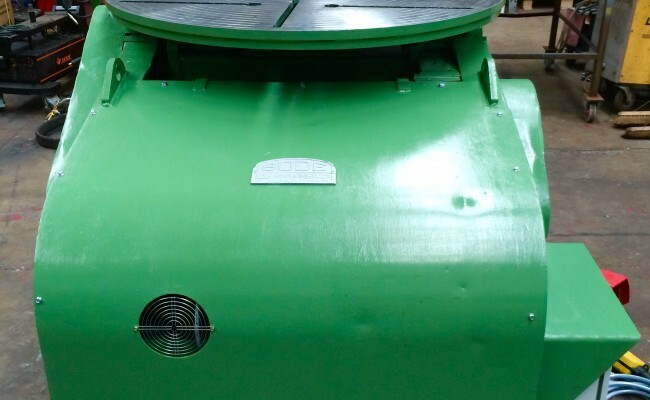 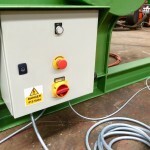 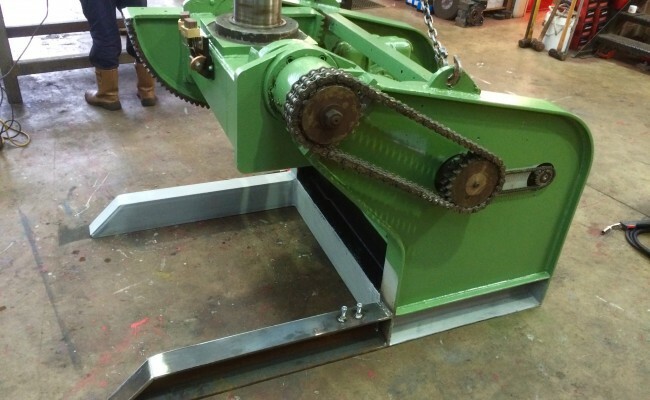 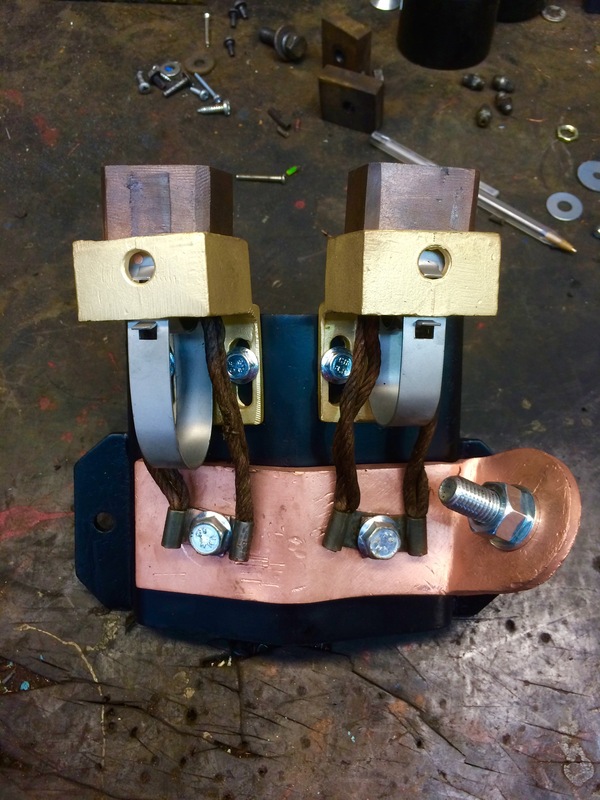 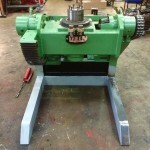 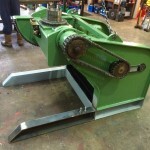 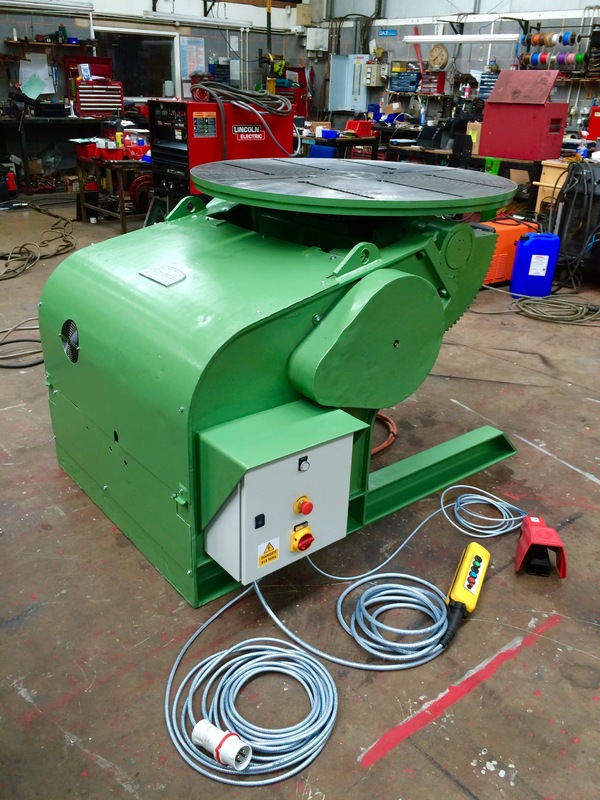 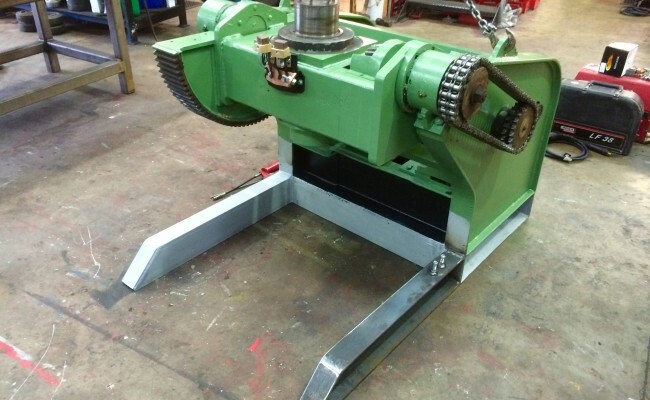 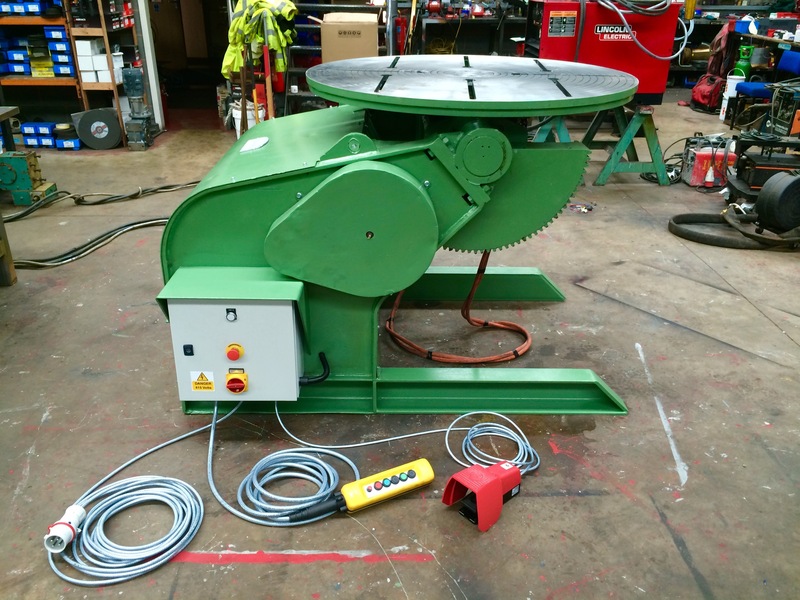 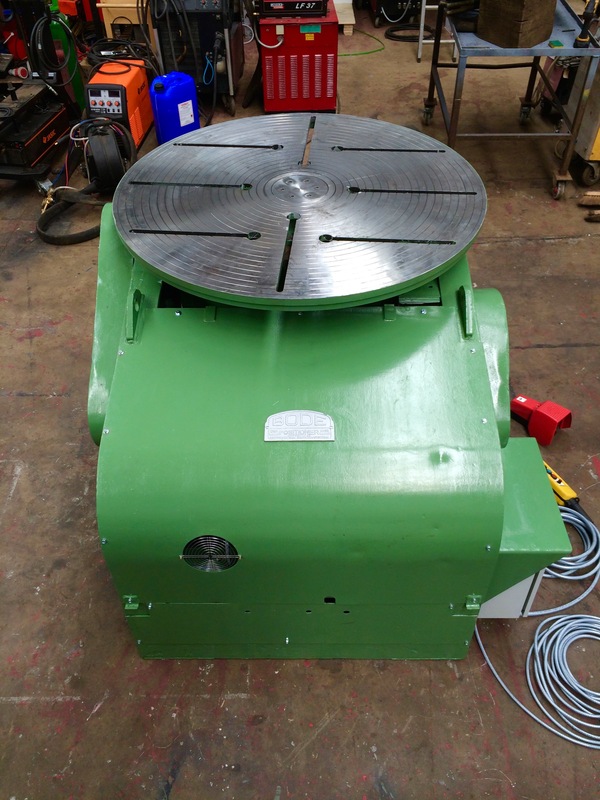 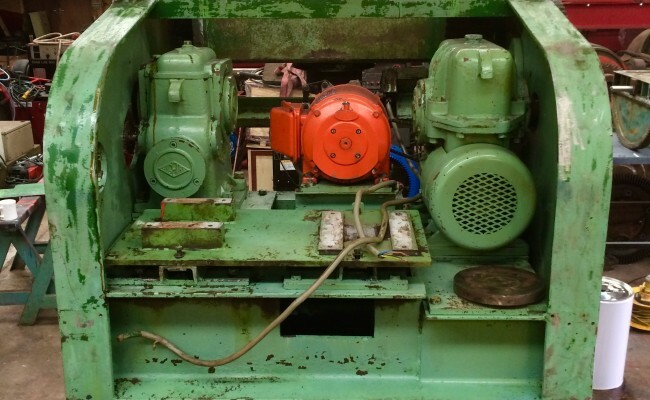 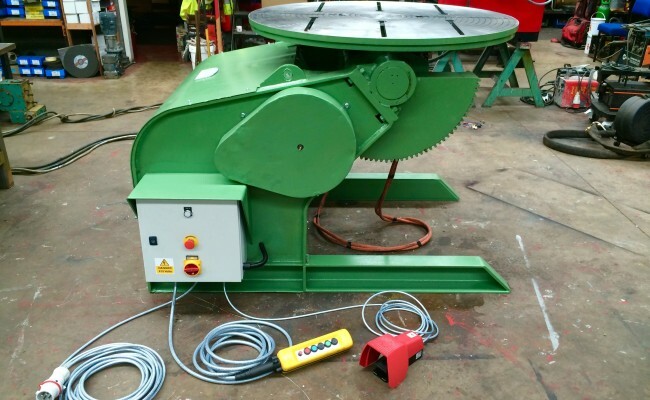 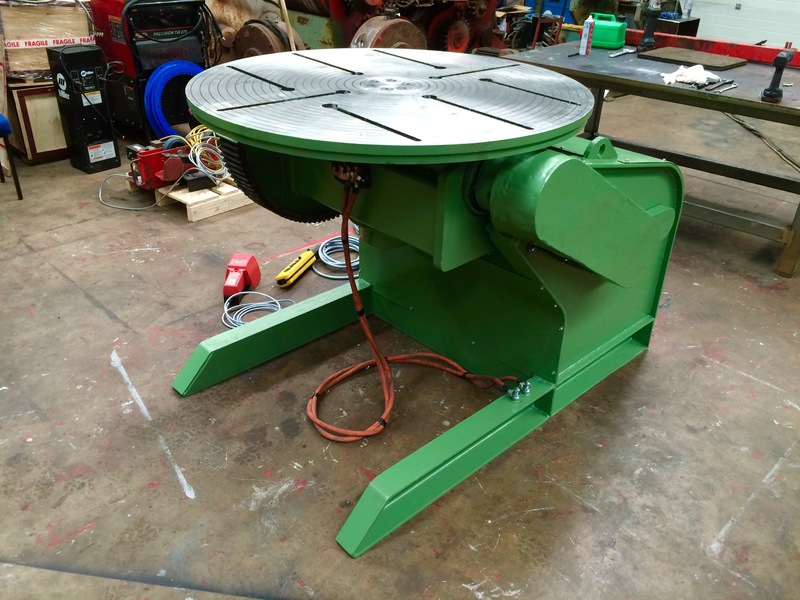 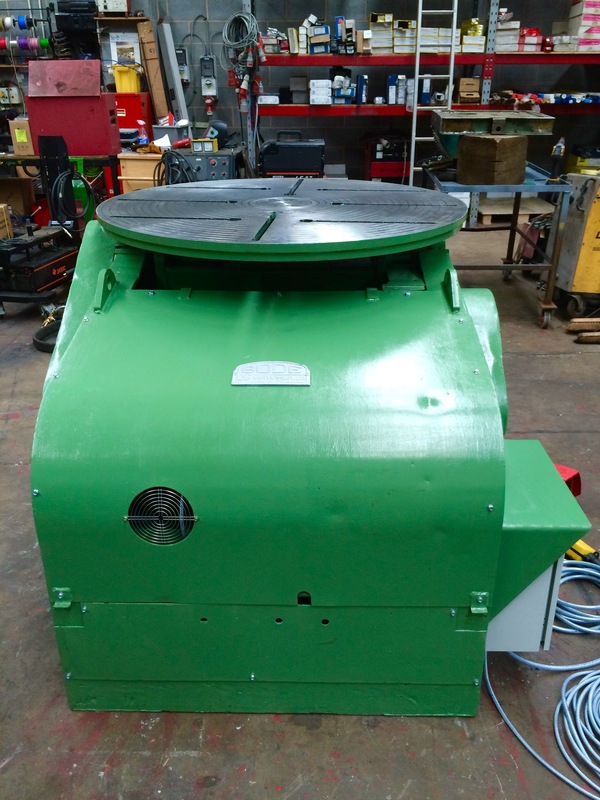 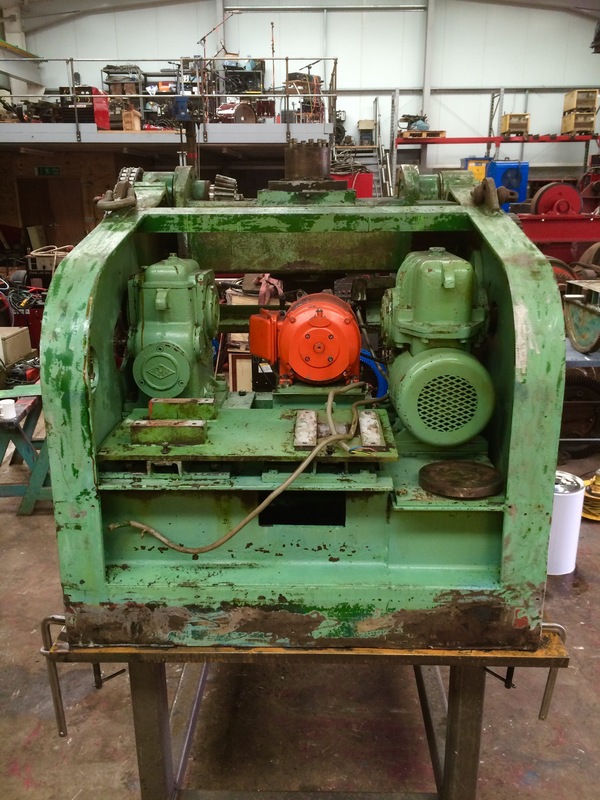 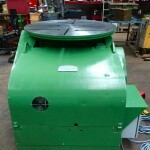 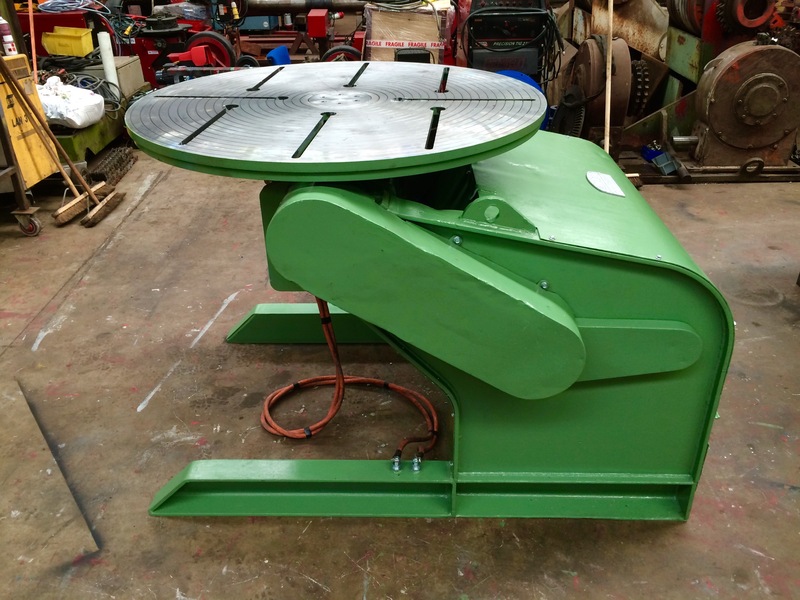 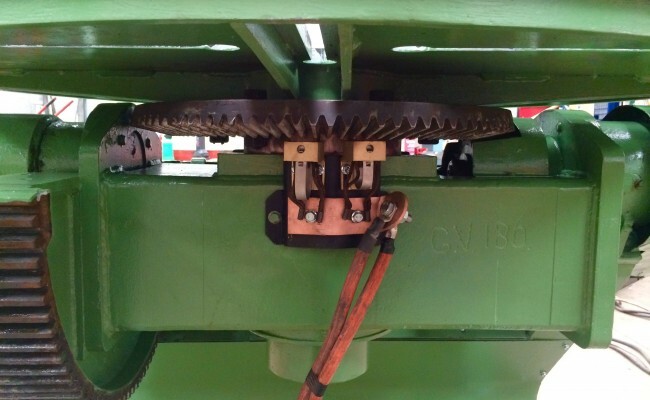 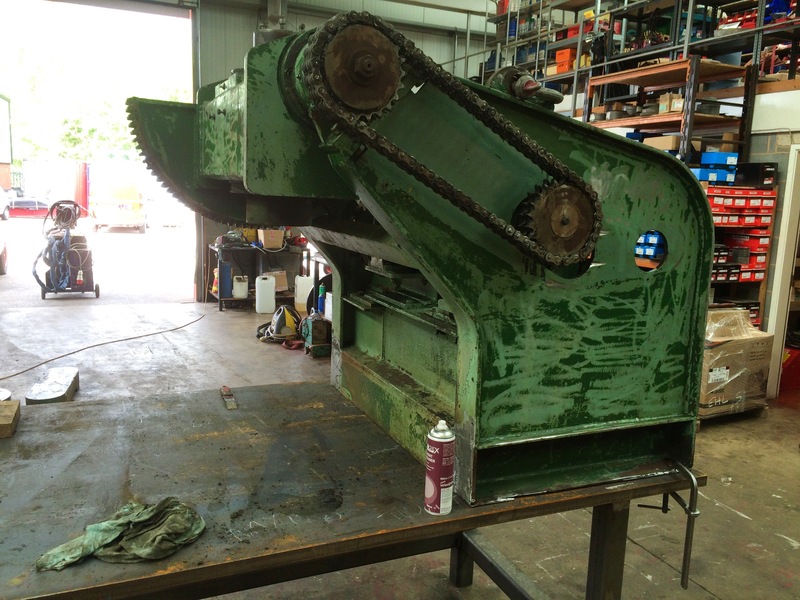 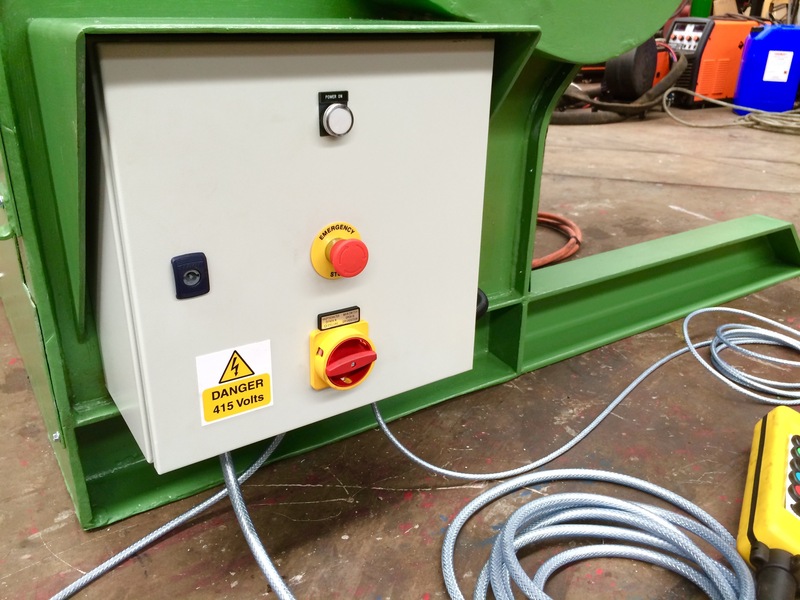 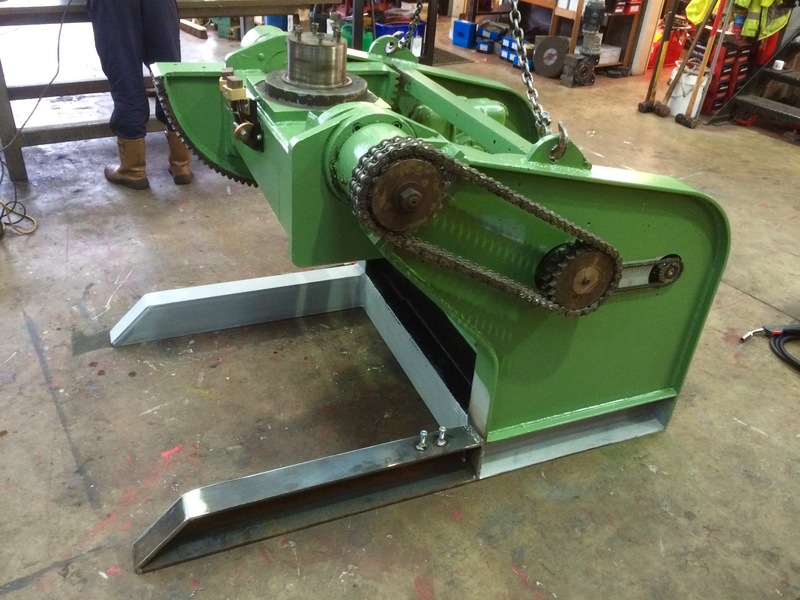 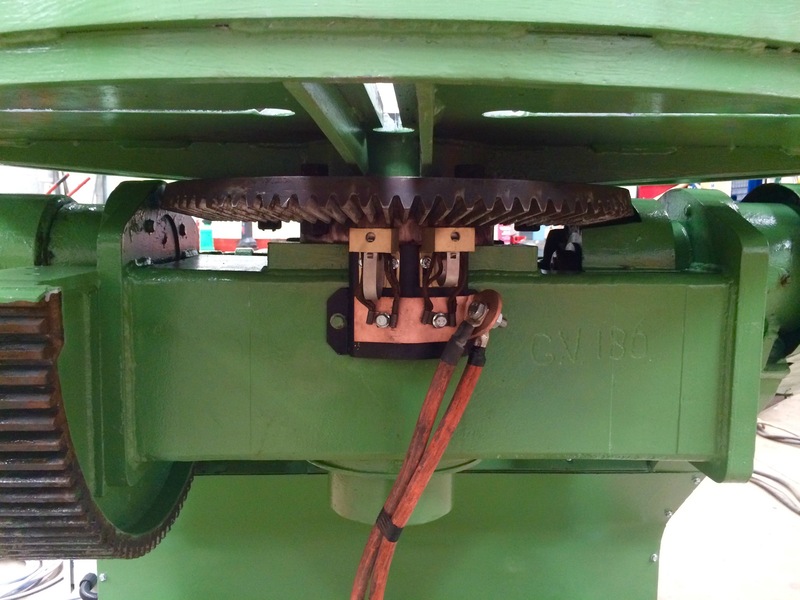 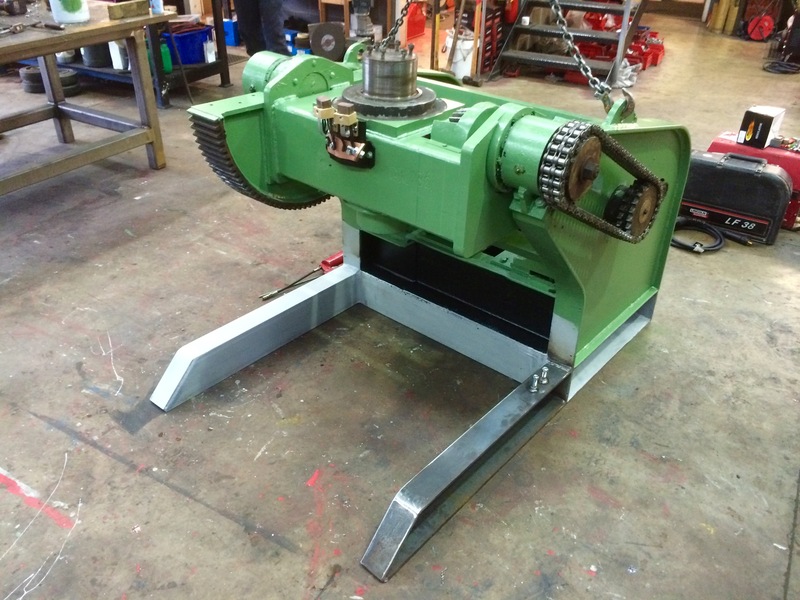 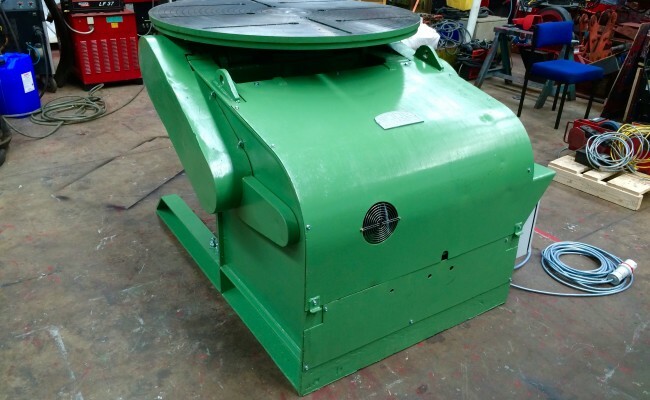 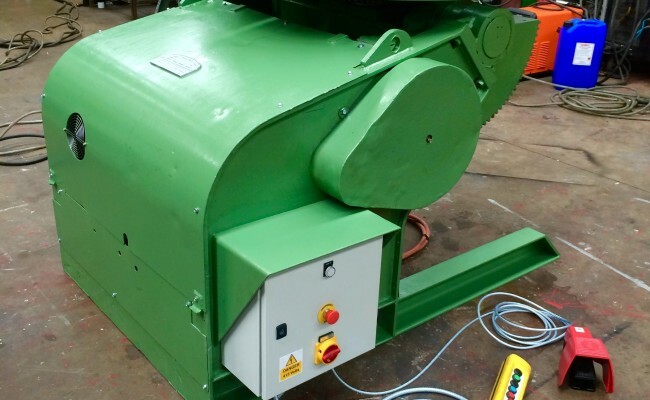 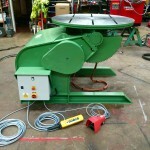 This used 3 tonne welding positioner despite being like a brand new machine would be a lot cheaper to buy than one of our brand new models and is an extremely well made piece of engineering. 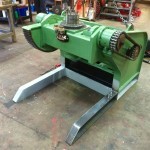 Get in contact to learn more about our range of positioning equipment which is all available for hire or to buy.